A candidate’s ability to act as a channel of communication between two speakers who speak different languages is assessed in NAATI CCL Test. As a part of certain point-based Australian Immigration Visa applications, a candidate is awarded five bonus points on passing the CCL Test. Hindi – a widely spoken language across the globe – is accepted as one of the LOTE (Language Other Than English) for Credentialed Community Language (CCL) Assessment Test. 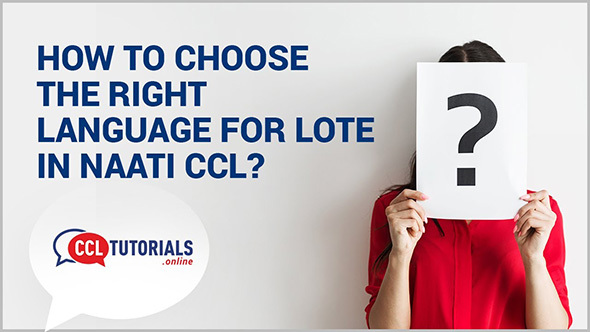 If candidate chooses ‘Hindi’ as his/her preferred language or LOTE for the NAATI CCL Test, it is essential that he/she has a high level of competency in both – English as well as Hindi. It also demands to have a wide range of vocabulary and proper understanding of both the languages. Only then can a candidate achieve the required score and earn CCL points. 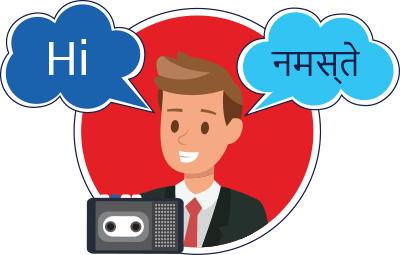 Enhance your Hindi – English interpreting ability & edge closer to your Australian PR dream. CCL Tutorials brings you NAATI CCL Hindi Online Coaching and NAATI CCL Hindi In – Class Coaching(Only in Melbourne CBD). Get a step closer to your dream place of residence. The practice materials provided here will prove beneficial in preparing for the NAATI CCL Test. These materials give an idea of the actual test. You will hear two dialogues between an English speaker and a Hindi speaker. You are required to interpret into the other language what each speaker says. As soon as each speaker finishes a segment, you hear this signal (chime). You may take notes if you wish. You should begin interpreting only a few seconds after you hear the signal. Pick up literature related to government, laws, taxation, health, education & the real-life scenarios that contribute to the social life of Australian society and try to learn as much terminologies as possible. Prepare by recording your responses. Listen to them and analyse how well you convey the meaning. Also, keep a check on the clarity of your language. Read magazines and newspapers in both the languages so as to develop same level of competency. Arrive 5 minutes before the class starts. Late comers won't be entertained by extending the class. Because of the online nature of the class, there are constraints in the time duration. If you are late, you will be able to attend only the remaining duration of the class. If you lose internet connection during the class and gain it within 5 minutes, we would add those 5 minutes at the end of your class if we don't have any immediate class. If your internet stops working more than once during a class, we would be forced to cancel the class and advise you to have stable internet connection whenever you join the next class.